LOCALISM : HAVE YOU A CLUE WHAT IT MEANS? 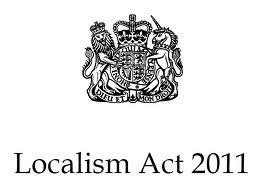 Amidst our discussions about the threat to youth work posed by the agendas of commissioning and privatisation the Localism Act has lurked. To be honest we’ve struggled to get a grip on its significance. However insight and illumination are at hand. While there is a diverse range of perspective across the different groups included in our publication, a unifying theme that comes through is a shared concern about the government’s ‘big society’ and ‘open public services’ agenda and how the creation of public service markets and an individualist and consumer-led approach to public service reform might lead to growing inequality within and between communities, markets that exclude community participation, competition at the expense of collaboration and localism that devolves responsibility and blame but not resources or power. Well worth perusing. After which send the link as a gesture of enlightenment to those in the Coalition’s thrall. Next FRAMEWORK OF OUTCOMES : HISTORY, POLITICS, EVEN YOUTH WORK FORGOTTEN?